As your live your regular life, your use up many items and rubbish piles up. No matter how resourceful you are, how much you decide to reuse, there really is no way to avoid regular accumulation of household rubbish. That’s why it’s a good idea to employ a regular rubbish collection service to help keep all that domestic junk under control. 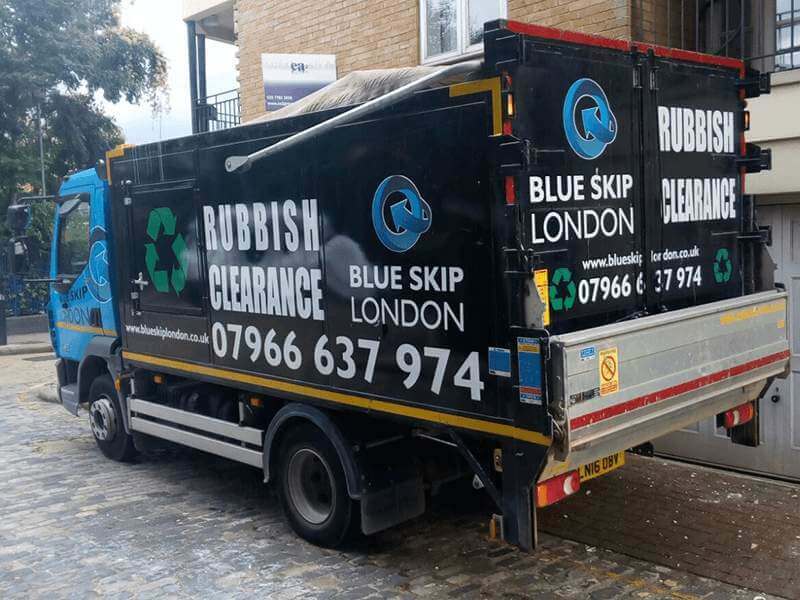 Blue Skip London offers a comprehensive rubbish collection service that is perfect for any household, regardless of your income or schedule. All you need to do is put out your rubbish for us to collect, and we’ll pick it all up at regular intervals. No need to worry about anything else – we handle all the transportation and recycling afterwards. 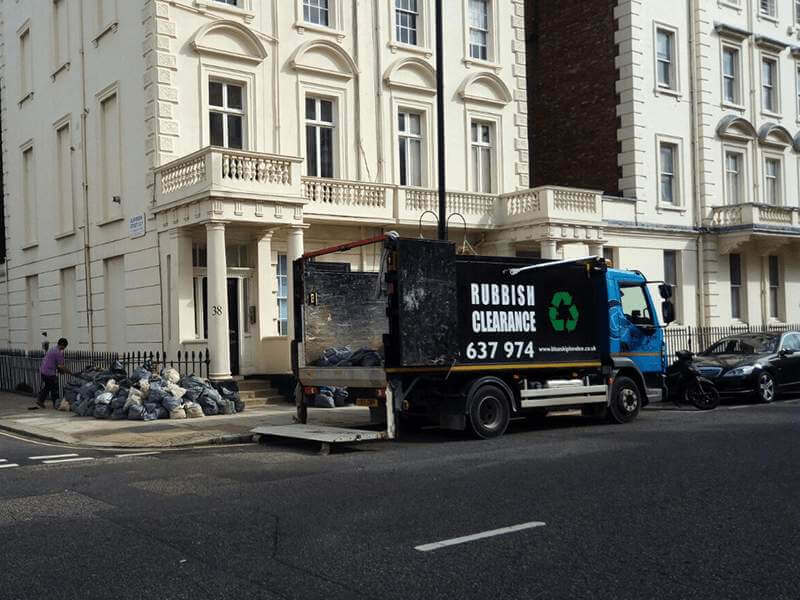 If you live in a regular house on street level with a front garden, we will pick up any wheelie bins or black sacks you put out for us in front of your home. Make sure you put it out for us to pick up before 6 a.m. If you live in a flat – don’t worry! 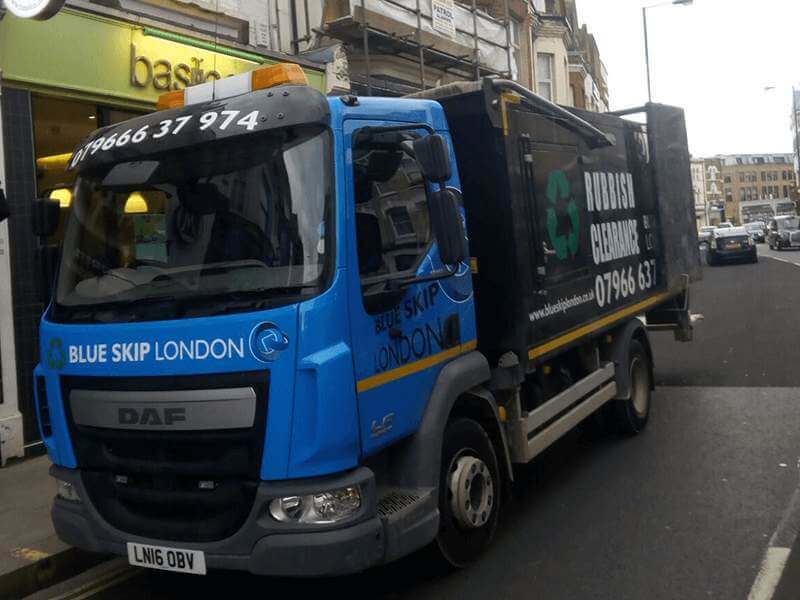 We can handle all your rubbish just the same as if you were living in a house. Just make sure you tie your bags up properly before you put them out on the pavement.